As you probably know, TestTrack requirements and requirement documents can be locked when they enter a specific workflow state to prevent users from editing them. This helps maintain the integrity of the items while they are waiting to be reviewed or after they are approved. In TestTrack 2015.1, this option has been expanded so administrative users can now also automatically lock issues, test cases, and test runs based on their workflow state. For example, you can lock approved test cases that move to the Ready state to keep users from changing the test steps, variants, or other contents while still allowing users to generate test runs from them. 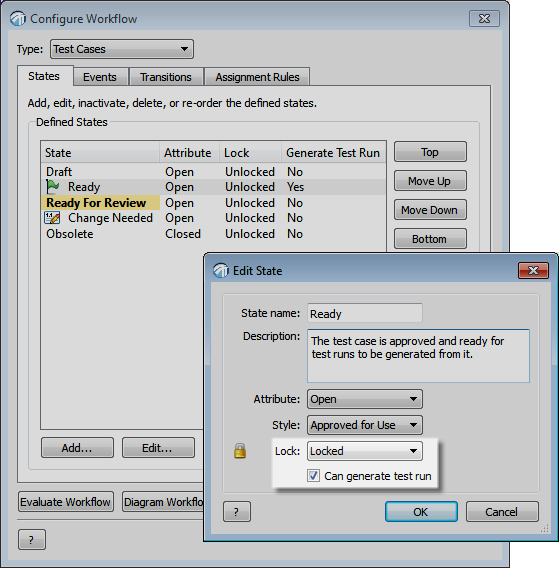 In your test case workflow set up, you can simply edit the existing Ready workflow state and set the new Lock option to Locked. Make sure to keep the ‘Can generate test run’ option selected. Now all test cases are locked when they enter the Ready state. When users edit or view a locked test case, they see all fields are read-only but the Generate Test Runs button is still enabled. 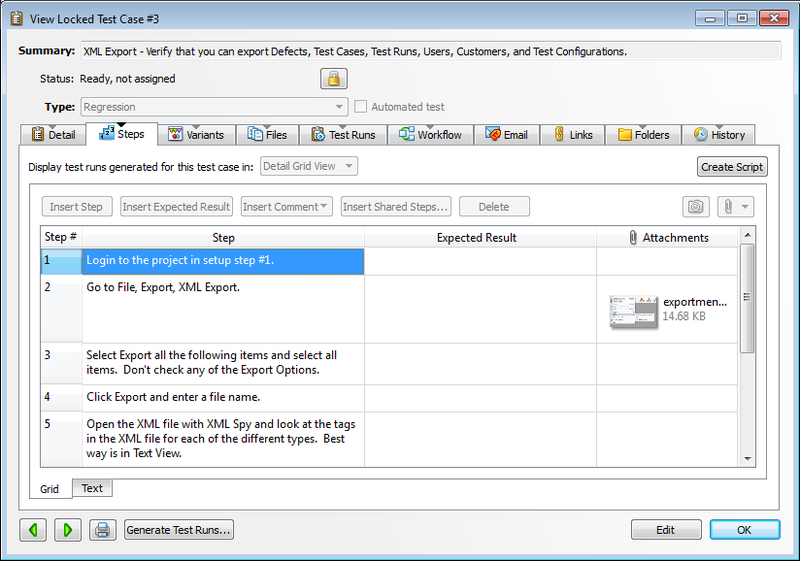 The lock icon is also included in the test case, which users can click to view information about why the test case is locked. Items remain locked until they move to another state that unlocks them. To see which items are locked in the project, add the Is Locked column to item lists.